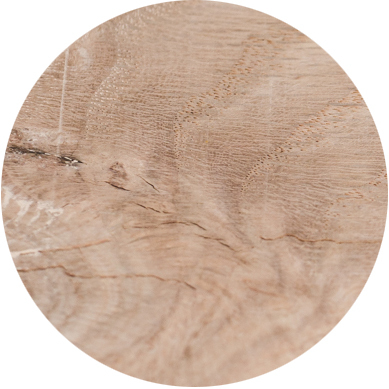 Each piece of hardwood carries warmth and provides drama with the uniquenss of it’s grain. Metalic elements stand out. That’s why we gild many of our pieces and add unique industrial bits such as copper and brass. 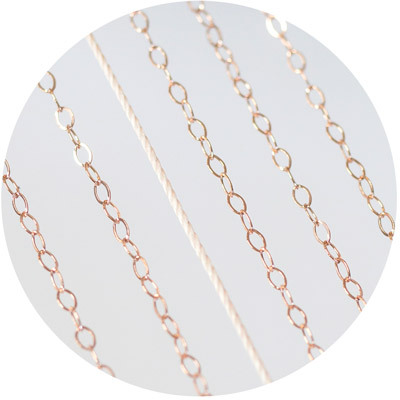 Woven cord and leather placed inline with or in liu of chain bring a softness and contrast in our designs. Makerware was initially inspired by our work as professional display artists with our company DUOFAB – making custom visual elements for commercial companies and high-end residential spaces. Our work with DUOFAB incorporates many inherently beautiful raw materials and this became an inspiration for a product line, Makerware. 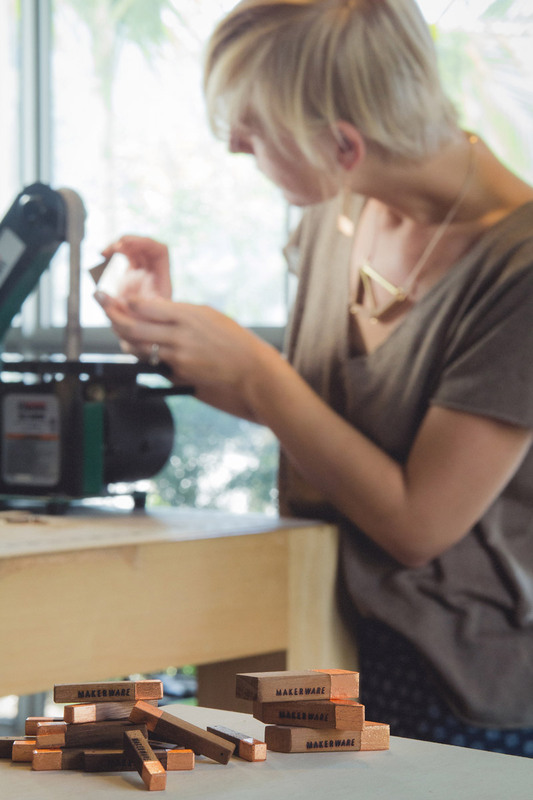 Our Makerware line is a collection of wearable items and home products (coming soon!) inspired by the artful raw materials from our installations, reinvisioned as retail products. “The Makerware aesthetic revolves around minimalism + geometry. My ultimate goal with our wearable items is to challenge the standard look of jewelry design and materials used. My designs focus on unconventinal materials + processes to create a uniquely balanced line of jewelry. I love to use soft tactile cording in place of simple chains and dramatic hardwoods to juxtapose earthiness with shiny industrial metals. 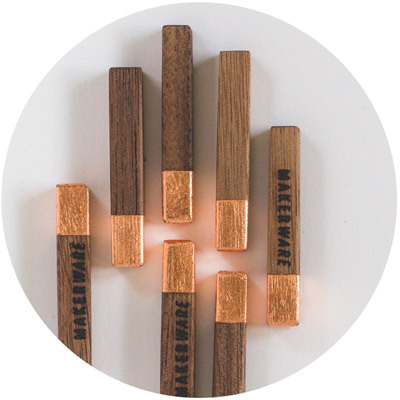 Makerware is 100% handmade in Lake Worth, FL. Every element is cut, shaped, gilded and colored by hand. All branding, imagery, design and fixture making is done in-house by Ashley Nardone.